There is definitely something to be said for well-composed, high-quality digital photographs. But there is also something charming about the chance candid shot that you just happen to capture while you’re hardly even thinking about it. 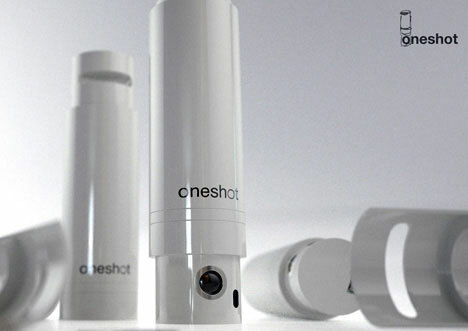 The Oneshot Camera concept from Tino Klaehne takes away all of the features that most of us find essential in a digital camera and replaces them with a fun sense of spontaneousness. 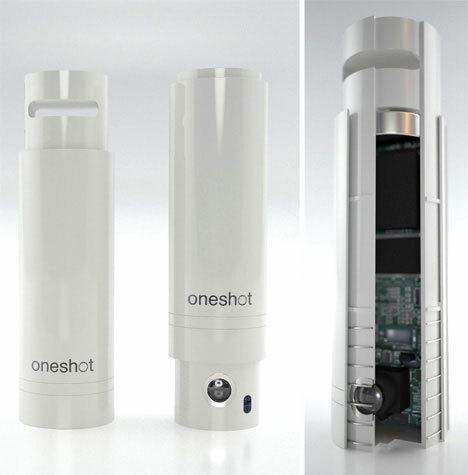 Instead of a viewfinder and display, this tiny camera features nothing more than a lens. It takes pictures with a soft push, just like clicking the top of a pen. 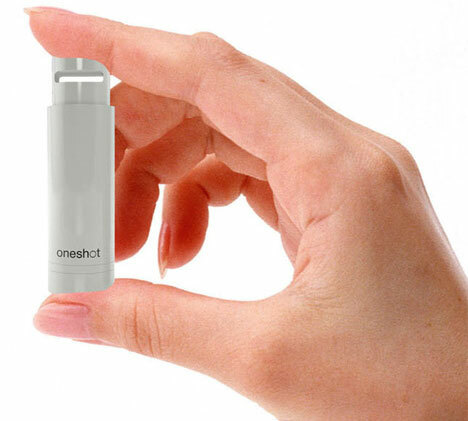 The camera is tiny enough to fit almost anywhere and looks rather like a tube of breath freshening spray, making it ideal for carrying around and taking candid snaps of your friends. Of course, there is always the chance that unsavory types would use this kind of tiny cam to do some unsavory things…but we’d prefer to pretend that the world is a happy place where that kind of thing never happens. See more in Camera & Video or under Gadgets. March, 2011.